If, like me, you love a bargain, then you know that high point in the annual retail calendar is fast approaching. Black Friday – an annual shopping extravaganza that’s become a global phenomenon – in the United States is expected to bring in over $5.9 billion. While the sales are not as big in South Africa, the Black Friday sales weekend starts on 23 November and runs for up to five days for some retailers, offering off-the-charts savings across all retail categories. For shoppers, this is a highly competitive time – bagging the best deals requires forethought and a military-style strategy – so to help them win at their Black Friday shopping, the Takealot group has put together their top tips. Most sales start as the clock strikes 12 – Takealot’s starts at 12.01 – so make sure you have data and your Wi-Fi isn’t past its cap. Get into bed early and set a few alarms. By the time the rest of the world wakes up you have done your shopping and be catching some restful winks before heading to work. The prices may change on goods for Black Friday, but the goods will already be there. Go online, create your wishlist in advance and then, when the sale starts, quickly go to your list, see which items are marked down enough and press ‘checkout’ to beat your shopping competitors to the bargain! Get your hands on as many newsletters and flyers as you can. Like the Facebook pages and Twitter feeds of all your beloved retailers. Monitor their bargains closely. From early November, retailers will start to release their Black Friday weekend specials. Start your plotting and planning as early as possible and draw up a plan of action. If you are shopping online, you won’t want to be messing around updating details as everyone around you is checking out what should have been your goods… It is worth logging into the sites you love before Black Friday and checking your delivery and payment details are 100% accurate. Download the app for your favourite online retailers early. This will allow you to browse much faster and they’ll also send you push notifications of the big discounts to look out for. Plus some etailers offer app-only deals. 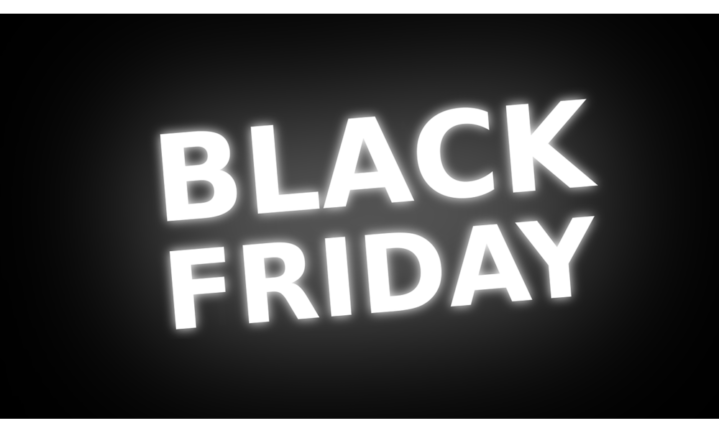 Most outlets, both online and physical, will accept returns for Black Friday purchases, but this is not a guarantee. It is worth checking terms and conditions in advance to make sure that any purchases made ‘in the moment’ can be returned. Decide ahead of time what you plan to spend on the Black Friday sales and stick to it. You could quickly find yourself shopping for Christmas 2018, 19 and 20 if you are not careful. Be responsible and remember that the expensive festive season is coming up, so you’ll need a bit left over for this! Takealot ’s Blue Dot Sale runs for five days with amazing discounts on Black Friday, throughout the weekend as well as on Cyber Monday and Takealot Tuesday. These sales are phenomenal and can see consumers walk home with purchases discounted by up to 6 0% in some cases. Superbalist has also super-sized their 2018 Black Friday sale to run for five days. Visit Takealot.com or Superbalist.com to start planning your Black Friday shopping and don’t forget to download their apps to get access to pre-Black Friday sales, app-only deals and lots of sneak previews.